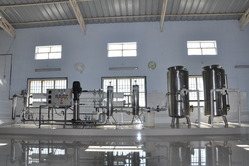 We are leading manufacturer of Packaged Drinking Water Plant and our product is made up of good quality. 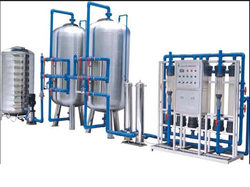 The plants are designed as per the raw water quality and we have all necessary equipment to manufacture the final product to comply with IS guidelines. We undertake turnkey projects for design, supply, erection, and commissioning of Packaged Water. Our plants are designed as per BIS AND WHO guidelines recommended an international code of hygienic practice for the collecting, processing, and marketing of Packaged Drinking waters. The total plant is skid mounted/factory assembled and offer the complete plant. CATS Pressure Sand Filters comprise of multi grade Quartz. CATS Carbon Filters are specially designed with Carbon manufactured from hard coconut shell has got excellent absorbing qualities. CATS offer filters which are washable and reusable. CATS Micron Filters are specially designed with trichlor, Bold Νt fittings without any gaskets to avoid microbial growth. CATS Ultra Violet Water Disinfectants Systems. CATS Ozone Generators are Corona type provided with Air Filter and Moisture Separator that does not need any Oxygen supply or chemical and is very simple in operation. CATS Stainless Steel Storage Tanks are fabricated avoiding any internal joints and mirror polished to avoid bacterial growth and are sealed to protect from air contamination. Clear Aqua offer complete consultancy in setting up the Packaged Drinking Water Plant, training of Engineers, a consultancy in marketing providing management, staff, and operators. We are the leading Manufacturer of Mineral Water Plant and our product is made of good quality. With the assistance of our engineering excellence and experts, we have undertaken various Mineral Water Plant. Sturdy in construction, our mineral water plants are used for water purification that has good cleaning ability. We also customize our plants as per the client's specific requirements. Looking for Packaged Drinking Water Plant ?